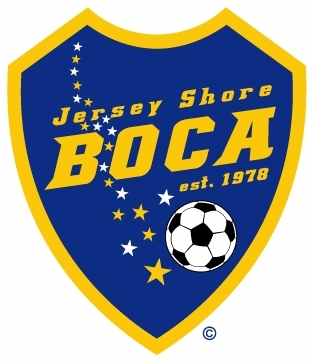 Jon Curry-Edwards, a member of Boca’s 2003 U17 Super Y-League team talks about his experiences on playing in the SYL this summer in a feature from The Coast Star previewing the St. Rose HS boy’s soccer season. A great goalkeeper can single-handely affect the outcome of his team’s season and St. Rose senior Jon Curry-Edwards is one of those goalkeepers. Curry-Edwards returns as part of a nucleus of juniors and seniors that captured a share of the Parochial B state title last season with a 0-0 tie against three-time defending state champ Morris Catholic. There is little question that he will be one of, if not the, Roses’ most important player as they look to defend that title. Curry-Edwards is regarded as one of Shore Conference’s top goalkeepers this year, earning a share of the conference lead for shutouts last season with 12. He helped lead St. Rose to a 17-4 record, with key wins over Wall and Neptune, while also capturing the Shore Conference Parochial B division title and the state co-championship. One year later he is a stronger, faster and better version of the keeper that anchored an extremely solid St. Rose defense in 2002. “He’s one of our fastest players this year. Whenever we have runs or sprints he’s always one of the first done,” added the coach. Curry-Edwards spent the off-season working out with friend and teammate, senior defender Pat Reynolds. According to Curry-Edwards, he gained around 15 pounds from last season. Curry-Edwards got in much game experience in the offseason as well, playing in the summer Y-League for Toms River-based Jersey Shore BOCA. He was pitted against some of the top talent on the East coast every game and it helped him polish his skills. For Curry-Edwards this season represents a chance to prove to the Shore soccer community that he is indeed one of the best around. His work ethic has improved and there’s an air of determination about him that is striving for both the success of the team as well as individual success. [Curry-Edwards was not named to any of the three All-Shore teams in 2002]. In addition to the constant workouts and Y-League games he played, Curry-Edwards also spent some time at the College of William and Mary’s soccer camp. William and Mary has been the collegiate home to several professional goalkeepers, including Adin Brown, a recent W&M graduate who recently finished a stint on the U.S. Men’s National team this past summer when they competed in the CONCACAF Gold Cup. Brown currently plays for the New England Revolution of Major League Soccer. Curry-Edwards is certain that he wants to continue playing in college. He has been in contact with several Division I schools and coaches outside of the area. Being a tall and imposing keeper, one of the strongest parts of Curry-Edwards’ game is his play in the air. He is adept at coming out and snaring crosses and corner kicks and is a tremendous shot stopper. In last fall’s 2-0 win against Wall on the second day of the season, Curry-Edwards put on a goalkeeping display that saw him deny every chance Wall threw at goal, usually in acrobatic fashion. He’s an athlete that is confident in his abilities and what he can do to help the team win. Recognition for how well you play is something that every athlete strives for. It can be a driving factor in how well one will play. Curry-Edwards wants his due recognition and feels that it’s just as much the team’s as it is his. The pressure placed on goalkeepers can be a large burden. If a forward makes a mistake, the worst that happens is that he loses the ball or misses an easy shot on goal. If a keeper makes a mistake, the ball is in the back of the net. Playing well and responding to the expectations and demands of the position is something that is required of keepers. Curry-Edwards says the pressure and expectations are something that you just get used to. “You always want to do your best with the pressure on you,” he said. “I like being a leader and I don’t mind it. You just have to stay focused. Curry-Edwards’ presence on the field has a calming effect on the rest of the team. They know if they make a mistake they can rely on the man in goal. Racich and Reynolds make up the nucleus of a defense that has been playing together for two years. The communication between Curry-Edwards and his defense is strong, as the unit knows one another well. Offensively, knowing that there is a solid defense in the back is key to helping relieve some of the pressure on the scores. There is a good chance that St. Rose will live up to most of the expectations they have placed on themselves for 2003. Curry-Edwards will be an invaluable part of that expected success. His talent, composure and leadership are indispensible to St. Rose as he looks to leave his mark as one of the area’s finest keepers.